It’s our 10th Annual Fundraiser and it’s going to be our BEST ever!!! 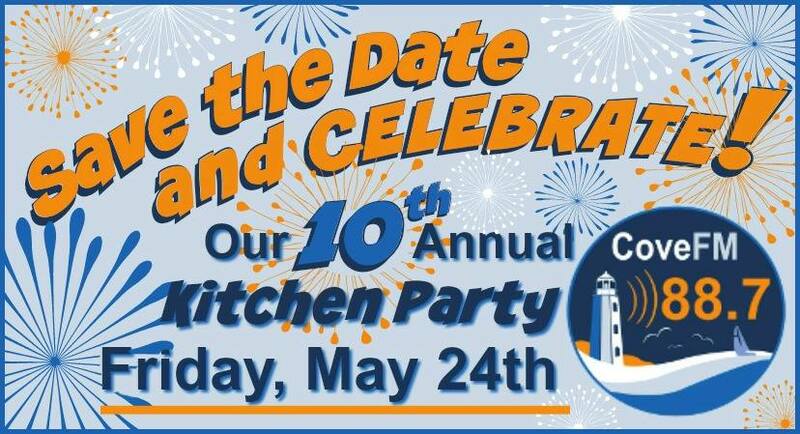 Stay tuned for ALL the details and in the meantime – MARK YOUR CALENDARS, TELL YOUR PALS AND MAKE YOUR PLANS to join us for ALL the fun Friday, May 24th at The Shore Club!!! Cove FM is your local, community owned, volunteer operated, station playing a wide variety of music. The music we play covers many genres and era’s. Tune in at 88.7 FM or on-line at covefm.com. We are also available on the Tunein Radio App.